where and is the AC emf driving the circuit. The angular frequency ω is related to the frequency in hertz (Hz) by . 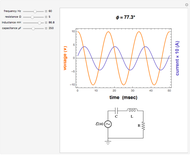 In this Demonstration, the amplitude is set to 10 volts (V). 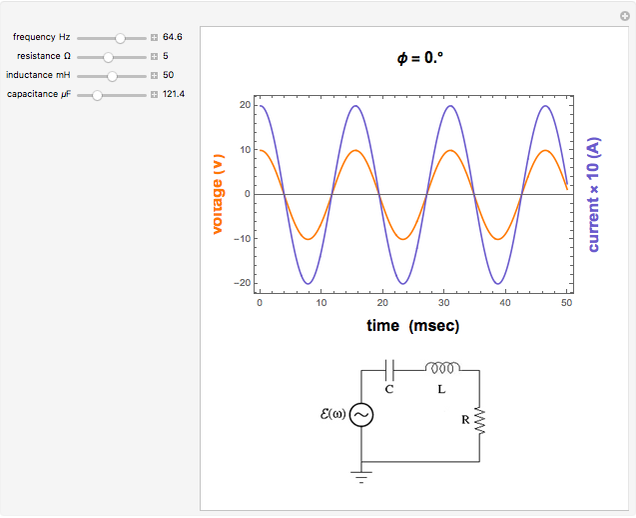 You can vary the frequency in Hz, the resistance in ohms ( ), the inductance in millihenries (mH), and the capacitance in microfarads ( ). The voltage V in volts and current in milliamperes (mA) are shown in the plot over a 50-millisecond (msec) window. 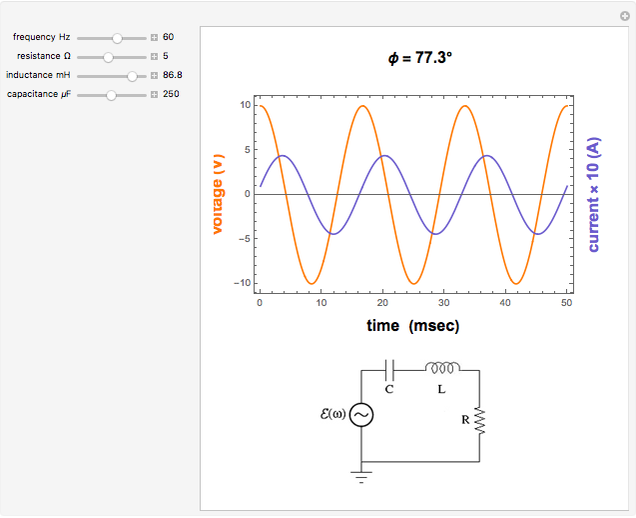 When the effect of inductance is dominant, then , and the voltage leads the current. When the capacitance contribution is dominant (for small values of ), then , and the current leads the voltage. The mnemonic "ELI the ICEman" summarizes these relationships. When the circuit has a pure resistance or when the resonance condition is satisfied, then , meaning that the voltage and current are in phase. S. M. Blinder "Series RLC Circuits"